As some of you may remember, back in May I posted about Saving Money With Acorns. Starting out I was unsure how comfortable I felt with using Acorns because outside of my 401k it was the first time that I was considering using an investment vehicle that utilized funds. So in the beginning I had some of my accounts setup to do the round ups plus I was adding just $10 a month. I felt this was a comfortable place to start with Acorns. From the initiation until now I have saved $209.70. That includes the deduction of 2 monthly fees of $1 a piece. Currently the portfolio is worth $212.55. Thus far I have received $0.87 in dividends from this account. Overall this isn’t bad for a new account but I wanted to start returning more in dividends than it was costing me for the monthly fee. 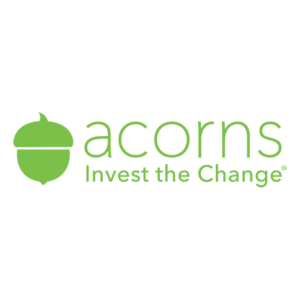 So I knew that I needed to make some changes to my Acorns portfolio. Now my Acorns portfolio is allocated more to my liking now. I hope that this will help to get this portfolio growing. Only time will tell considering the markets are at all time highs. Regardless of what Mr. Market does I intend to keep investing in the market one way or another. I also added my Acorns Portfolio to my Portfolio Page. Be aware though that it will only change when I manually do it. So I intend to update it at the beginning of the month when I post my monthly update. If anyone else is using Acorns I would be very interested in hearing about your experience so far. I like Acorns, slow and steady growth. I’ve been using it for 2 years and my balance just moved over $4k. The best part is that I don’t miss the money, it just disappears from my bank account. This is my first time here I believe. I had Acorns before, and then I got rid of it because I didn’t think I could automatically import their data into Turbo Tax. Well, now I can automatically import their data and so I started using it again. I haven’t made the commitment to include them on my portfolio page, but I just might. I’ve had an Acorns account for a couple of years now. I love it! About 1/2 a year ago I turned on the recurring investment, I love how easy it is. So no matter what there’s money going into my account with them. And it’s neat that the fee is so low. $1 per month means that you get 3 months of this product for a coffee! Yeah, I have been thinking about increasing my recurring investment but haven’t done it yet. 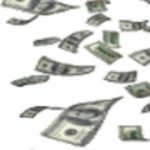 It is a nice inexpensive way to continue to invest with low fees. Thanks for stopping by CD.